Per the request of my mom, I am bringing back round two of Royal blue for the Perfect Palette. This weeks twist: I've added another one of her favorite colors to wear. Now, she'll have three different color schemes to work with using two of the same colors. Royal + Fiesta 01: unmistakably lively. 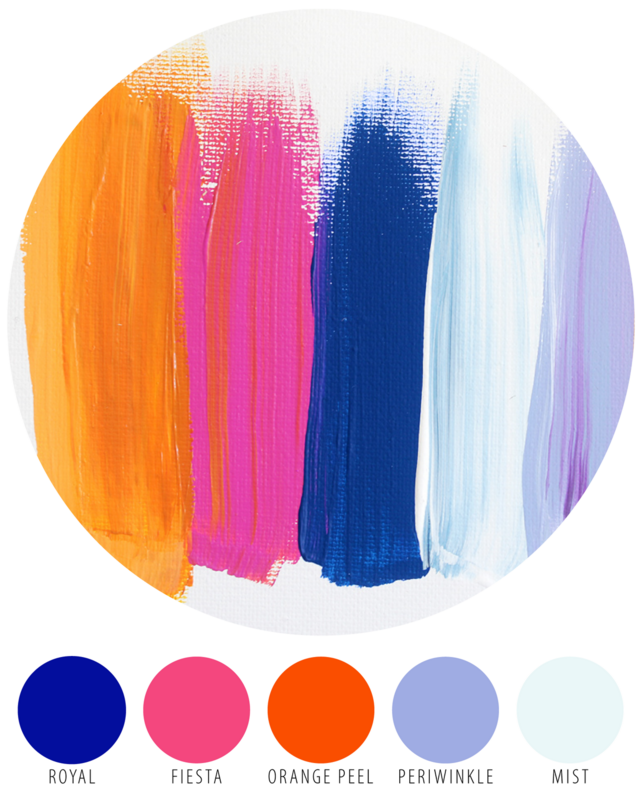 This is a "notice-me" palette, but is still grounded with the inclusion of the lighter colors. Image via Jen Ramos.